A Book and a Cup of Coffee: Coffee With Sush + A Giveaway! Coffee With Sush + A Giveaway! 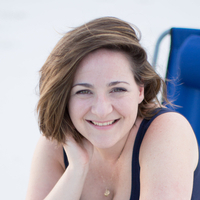 In celebration of Lexie hitting shelves today, I sat down with the woman behind it all to interview her on what it took to create a girl with magic thrust upon her and the world she discovers along with it. Taking a page right out of Sush's own book, I decided to call my chat with this lovely lady Coffee with Sush! If you watch her youtube series, you'll know that Sush does a chat every week or so while sipping a nice cuppa joe and updating us all on what's new. In celebration of today being the launch of Spells & Sorcery and my blogaversary being yesterday, Sush and I are giving away a signed copy! 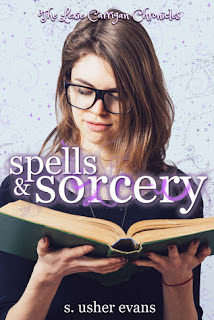 Spells & Sorcery is your first YA series! What compelled you to write YA, as someone who typically writes NA/Adult? I definitely don't think about genre when I write. I think about characters and story and setting and then when it's all finished, I figure out which genre it fits into. Sometimes, like with the Madion War Trilogy, it's a little more difficult to pin them down. Luckily, Lexie fit perfectly into the contemporary fantasy genre. Lexie came to me in high school, and high school is where she stayed. When characters wander into my brain, they usually come at the age they stay at, although originally Lexie was 13. Witchcraft is a central element to Lexie's story, yet it's a unique sort of witchcraft not typical to your average Harry Potter or American Horror Story notion of witches. How did you develop this, and what compelled you to write about witches? How does this process differ from what you're used to writing? This story came to me as part of a dream I had at 13. My cousin Nicole and I were trapped in the movie theater by evil sorcerers and we had to hide our wands in the wall with peanut butter. Obviously, only the magic and Nicole survived 15 years of drafting. Since this book grew up with me, I borrowed a lot from the media that I watched, including a lot of anime. I also liked the idea of innate talent being almost identical to the amount of time spent on growing strength. What was the most challenging aspect of bringing Lexie to life? The most challenging aspect was actually finishing it. I had spent fifteen years telling myself "I'll figure it out later" or "who cares if I don't have an answer, it'll never get published." BOOP. Time's up. I'm running into the same issue at the end of Book 2, which is definitely giving me fits right now. If you had abilities like Lexie and her family, would you be a potion maker, warrior, or healer? I'd probably be a healer. I don't like to get in the middle of things, and I enjoy healing people. Would you sort your characters into Hogwarts houses? I totally see Lexie as a Slytherin with Hufflepuff traits. Girl, Slytherin? Lexie and Gavon are Ravenclaws. Marie is a Slytherin. Nicole is a Gryffindor. What is one thing you hope your readers take away from Spells & Sorcery? I think it's really a story about where your people are and who you can count on when the stuff hits the fan. Check her out on Twitter, Facebook, Instagram, and Goodreads! SPELLS & SORCERY is out today! You can grab a copy HERE at a special $0.99 release day e-copy price! Plus, enter below to win a SIGNED paperback of Spells!